Bhubaneswar: The ruling BJD dropped seven sitting MPs as it released list of candidates for nine Lok Sabha seats that will go to polls in first two phases. The Lok Sabha and Assembly polls will be held simultaneously in the state in four phases beginning April 11. 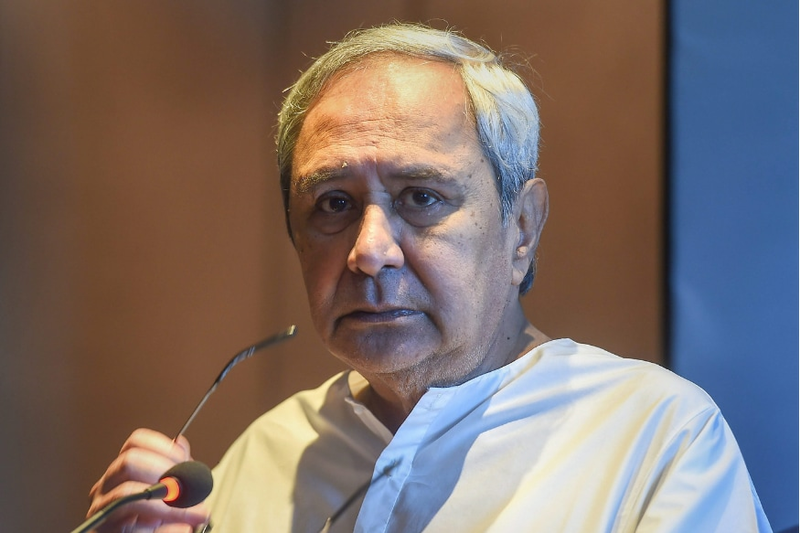 Party president and Odisha chief minister Naveen Patnaik on Monday fielded eight new faces, including two Rajya Sabha MPs and two Congress turncoats who joined the BJD recently. Former Congress chief minister Hemananda Biswal's daughter Sunita, who joined the BJD recently, has been fielded from Sundergarh (ST), the lone Lok Sabha seat the BJP won in the state in 2014. BJP leader Jual Oram had defeated former India hockey team captain Dilip Tirkey (BJD) from Sundergarh. The BJD denied ticket to Kandhamal MP Pratyusha Rajeswari Singh. She has been replaced by Rajya Sabha MP Achyuta Samanta. For Koraput (ST) Lok Sabha seat, Patnaik replaced sitting MP Jhinna Hikaka with his wife Kausalya. The BJD nominated Dharmagarh MLA Pushpendra Singh Deo from Kalahandi Lok Sabha seat. He replaces sitting MP Arka Keshari Deo. Patnaik fielded SC & ST development minister Ramesh Chandra Majhi from Nabarangpur Lok Sabha seat, replacing Balabhadra Majhi, who had resigned from the party on March 14 and later joined the BJP. The BJD chief also replaced Berhampur's sitting MP Siddhant Mohapatra and fielded former Union minister Chandra Sekhar Sahoo, who had joined the regional party after resigning from the Congress. Pramila Bisoi, a self-help group member, was given a ticket from Aska Lok Sabha seat, which now remains vacant following the death of BJD MP Ladu Kishore Swain earlier this year. Naveen Patnaik had won thrice from Aska Lok Sabha seat, earlier held by his father Biju Patnaik. The BJD leadership dropped Bargarh MP Prabhas Kumar Singh and fielded Rajya Sabha MP Prasanna Acharya in his place. However, sitting MP from Bolangir Kalikesh Narayan Singh Deo, has been retained to contest from the same seat again. While announcing the party's first list of Lok Sabha candidates, Patnaik also declared 54 of 147 candidates for the Assembly polls.